Razorback Jake Wise swings and misses as he strikes out in the third. 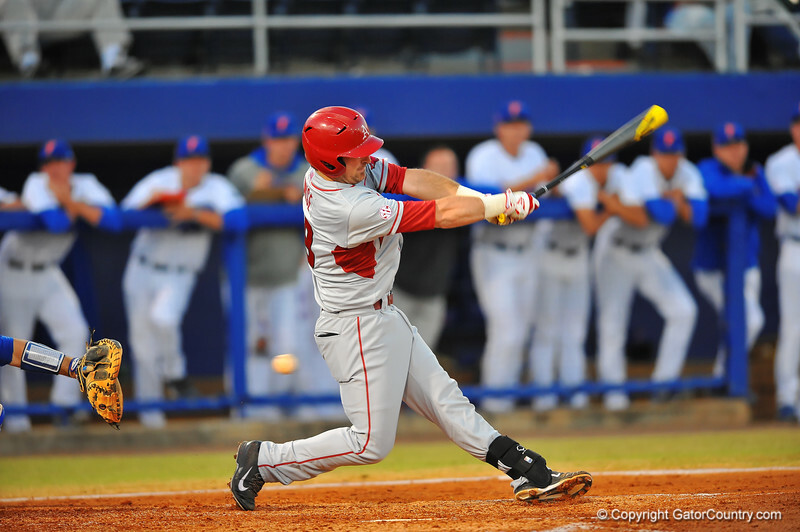 Florida Gators vs Arkansas Razorbanks. March 14th, 2014. Gator Country photo by David Bowie.